Celebrate the diversity of Ireland’s families with the Family Day Festival! 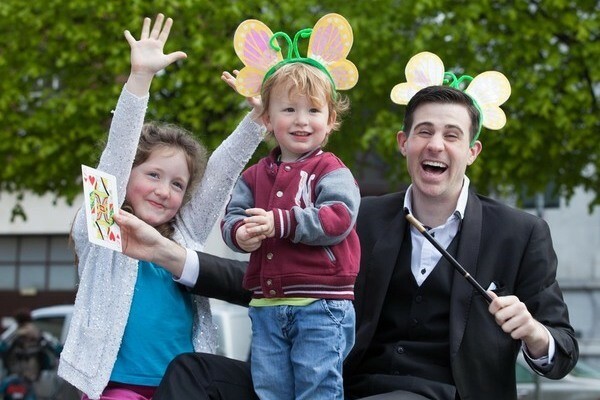 One Family invites you to enjoy a day of free family fun this Sunday in Wolfe Tone Square. The main stage will see magician Brian Daly, (fitness and fun with) a Zumba party, comic poet-songwriter and illustrator Paul Tubb, folk dancing with Bread and Salt, and a performance of updated Irish trad with Carron. Meanwhile, the One Family Talking Tent will have a day of storytelling by Aideen McBride, who will relate traditional tales from Ireland and abroad. A number of organisations will also have tents at the event, including BelongTo, Gaiety School of Acting, the National Print Museum and Parentline. One Family’s Family Day 2015 is supported by DublinTown.ie and Dublin City Council. One Family was founded in 1972 as Cherish with the aim of ensuring that all one-parent families achieve equality and social inclusion. The festival starts at 11am this Sunday (May 17) in Wolfe Tone Square on Jervis Street, and will runs until 5pm. The Family Day 2015 programme is available here.